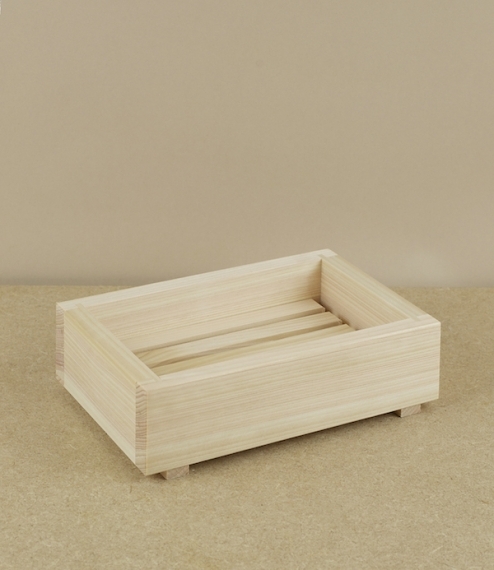 A simple two part draining soap dish from Tochigi Prefecture, Japan. 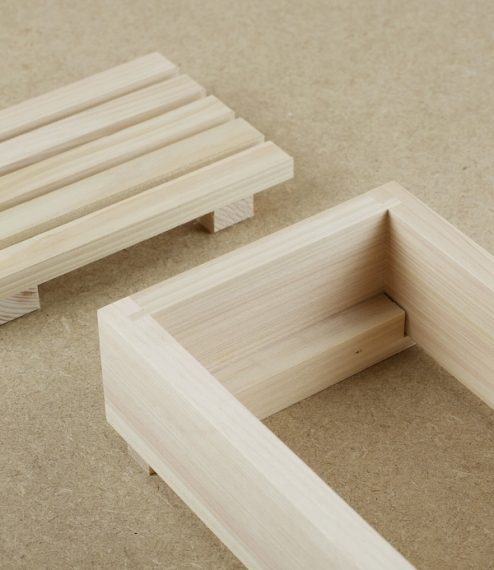 Made from hinoki, a type of slow growing cypress native to the central Japanese islands. 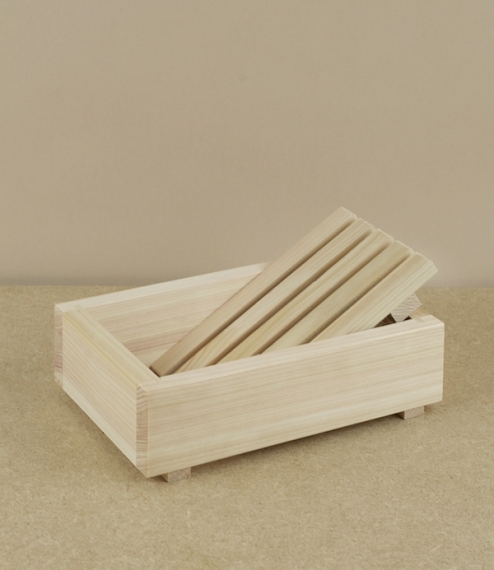 This is traditionally the timber preferred for the construction of temples, shrines, and especially wooden bath tubs, as not only does is tend to grow straight and knot free, the lightly lemon scented timber is resistant to both insect attack, mould growth, moisture, and rot. Measures approximately 15cm by 10cm.